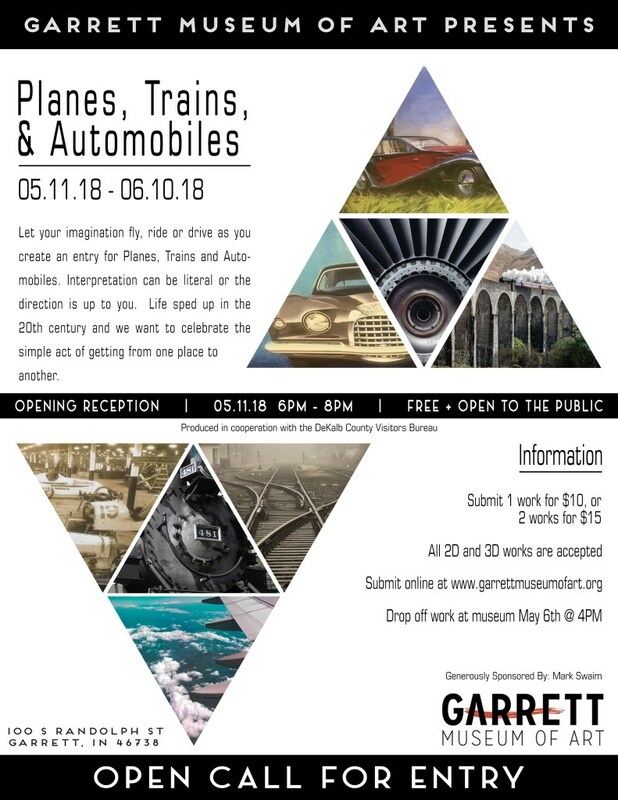 Garrett Museum of Art is honored to present an exhibition celebrating the simple act of getting from one place to another! On display will be 2D and 3D works of art in different mediums. 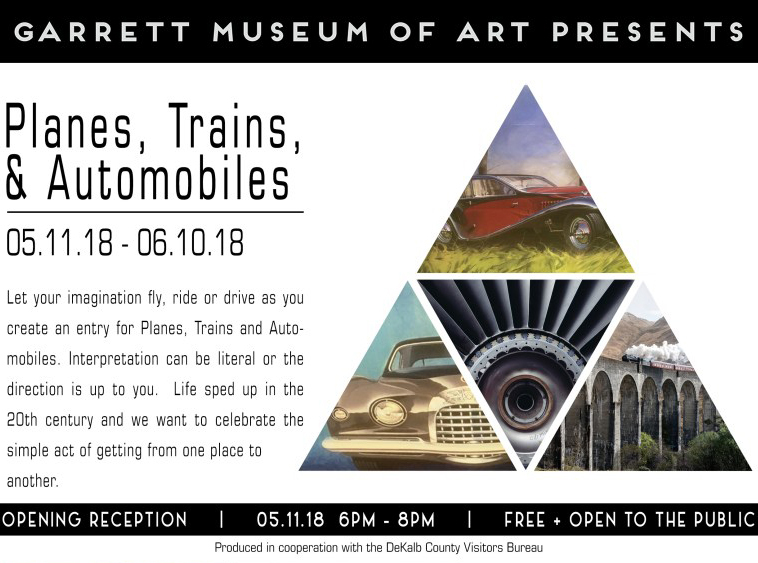 Artists work will be on view from May 11, 2018 - June 10, 2018 at the Garrett Museum of Art, 100 S. Randolph St., Garrett, IN. Come to the OPENING Night Reception and meet the artists on Friday, May 11th from 6PM – 8PM. It is free and open to the public. All ages welcome. Light refreshments will be provided. The show will run through June 10th, 2018. Fridays- 5 - 8 p.m.
Saturdays- 4 - 7 p.m.
Sundays- 1 - 4 p.m. Contact 260-704-5400 for more information.